Courtesy of Clarity Realty LLC, Ian Ross. 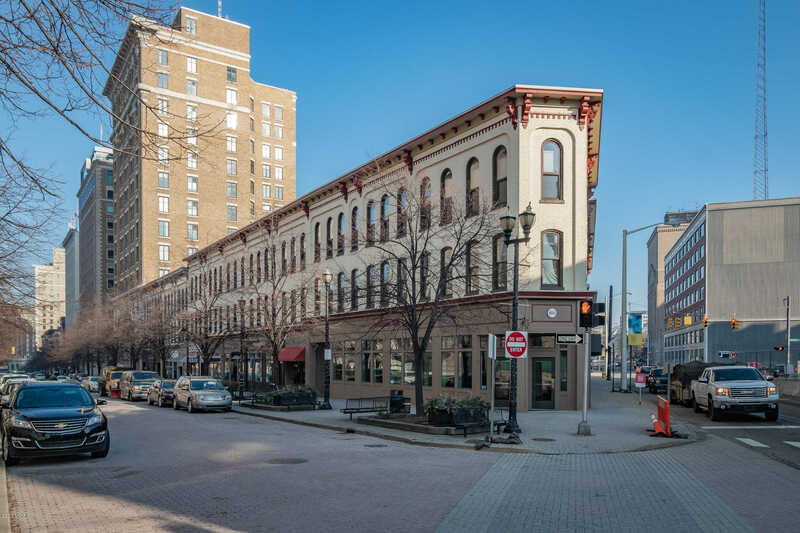 Centrally located in the heart of Grand Rapids, this quiet downtown condo is perfectly situated amid shops, restaurants, museums, and everything the city has to offer. Heated sidewalks surrounding the block make walking a pleasant experience year-round. Inside, tall windows overlooking Division St let in lots of light. High ceilings with exposed wooden beams and a bricked interior wall achieve a cozy, contemporary atmosphere. The open kitchen features stainless appliances and under-cabinet lighting. The low HOA of $140 includes water, trash and snow removal, and the unit comes with secured storage within the building. Dogs and cats are permitted, but the current owner does not keep pets. Several parking options are available nearby. Directions: From Fulton St. NW, head north on Ionia Ave NW, then right onto Monroe Center St NW.